While Nath did not mention any seat in particular, he said there were 2-3-4 seats in MP which the Congress had not won in the past 30-35 years. 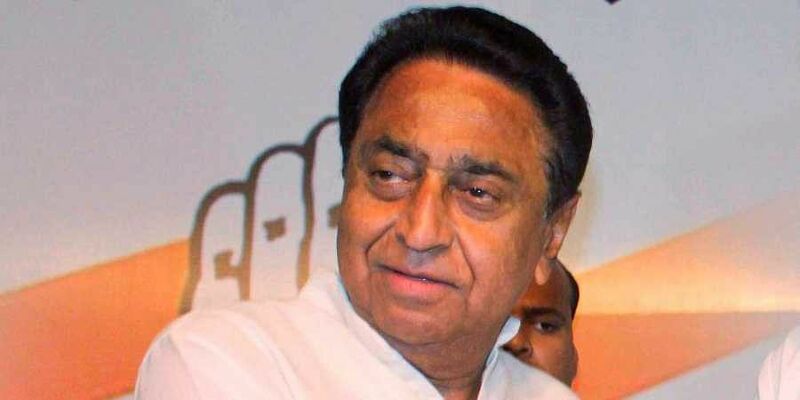 CHHINDAWARA: Madhya Pradesh Chief Minister Kamal Nath Saturday said if party colleague Digvijaya Singh wants to contest upcoming Lok Sabha polls, he should choose the "toughest seat" in the state. While Nath did not mention any seat in particular, he said there were "2-3-4 seats" in MP which the Congress had not won in the past "30-35" years. "I have requested Digvijaya Singh that if he wants to contest Lok Sabha polls, then he should do so from the toughest seat. There are 2-3-4 seats from where we have not won elections since the last 30-35 years," Nath told reporters here. Congress functionaries said he may have been referring to Bhopal and Indore Lok Sabha seats, both of which have been held by the BJP since 1989. Congress sources said Nath is keen that Singh contest from Bhopal. Former President late Shankar Dayal Sharma was the last Congress winner from the seat in the 1984 general elections. Nath, in reply to a query, however, said it was for Singh to decide from where he wants to contest. He also added that the Congress would announce Lok Sabha candidates from the state in the next three-four days. Nath arrived in Chhindwara on a two-day visit to address 11 rallies, with his son Nakul Nath, in all likelihood, being the Congress' Lok Sabha candidate. Nath, who is a nine-time MP from Chhindwara, is fighting an Assembly bypoll from here scheduled for April 23. Nath has to get elected to the MP Assembly in order to continue as chief minister.